Let’s consider two scenarios. In the first, a 10-year-old kid grabs a plastic bag of bright orange, processed “baby carrots” and zonks out in front of the TV. In the second, the same kid grabs a pair of garden gloves and runs outside, where he pulls up a bunch of his own bumpy, all-natural carrots fresh from the dirt. There may be no goopy Hidden Valley Ranch dressing (or plucky Bugs Bunny cartoons) in the second scenario, but there is probably more nutrition, more education, and—if you ask SLO Botanical Garden Education Director Lindsey Collinsworth—a hell of a lot more joy. Who among us doesn’t want more joy? 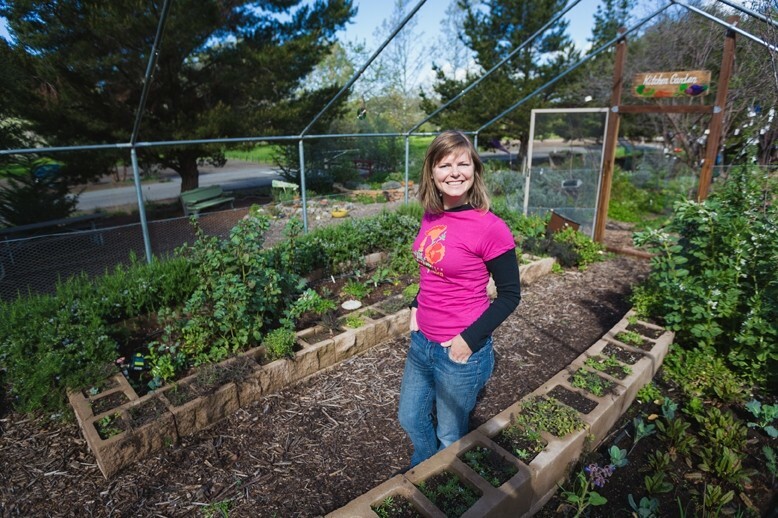 GROW DINNER: SLO Botanical Garden Education Director Lindsey Collinsworth invites anyone who has ever wanted to eat their backyard to check out a new month-long series dedicated to creating your own “outdoor kitchen” complete with earth oven. Collinsworth has watched the latter scenario unfold time and time again in the Children’s Kitchen Garden, an organic, sustainable plot of land home to fruits, veggies, herbs, and fruit trees. The landscape—which includes a “wishing tree” for kids to scrawl their dreams and hang them onto branches—is all part of SLO Botanical Garden’s sprawling splendor, tucked away within El Chorro Regional Park across from Cuesta College. Granted, “dessert” always comes in a close second, but I think any parent would agree: Collinsworth is on to something here. Whether picking spicy arugula, tart sorrel, or just a handful of plump, red cherry tomatoes, the act of hand-harvesting may have the potential to reform the Lunchables Generation in immeasurable ways. This may sound overly optimistic, but I would argue that taste really does rule all. Fresh, unprocessed food just tastes better than their road-weary, chemical-treated counterparts. As I strolled through the greenery with Collinsworth on a bright, warm morning last month, she picked a thin, tender stalk of asparagus and suggested I pop it into my mouth. The flavors were fresh and mellow, and I instantly pictured chopping up and throwing these raw, young veggies into my next salad. “I had a kid out here last week who said the plant looked familiar. I told him, ‘You might have seen it in the super market.’ His eyes went wide as he made that connection for the first time of, ‘Wow. This is how asparagus is grown,” the educator said. OVEN FLARE: SLO Botanical Garden volunteers work to create eyecatching adornments for a month-long class dedicated to helping folks create their very own backyard earth ovens. The SLO Botanical Garden has long held seasonal cooking classes for county youth ranging from second to sixth grades. Now, local grown-ups will have the chance to experience the magic of plucking their own produce and transforming it into dinner. There’s a big plus here, too: Through a series of classes held each weekend in March, attendees can learn how to create their own outdoor kitchens complete with earthen ovens to do all the cooking. Did I mention that during a May 16 Garden Fresh Cooking Class, there will also be pizza? Fresh, cooked-in-your-backyard “off the grid” pizza. With melty cheese and the freshest toppings imaginable (picked moments before consuming), earth ovens could become the new “barbecue.” Yes, you heard it here first, folks! Before you start thinking “dirt pizza,” let me explain a bit about this way of cooking, which—in fact—is about as old as dirt. For all of time, ancient civilizations have used woodfire ovens and woodfire pits to make a range of delicious foods. These new wood fired contraptions, led by the folks at N’Credible Edibles Earth Ovens, use recycled wood, clay, sand, straw, and other natural materials to create an efficient, user-friendly cooking vessel with the ability to stay hot for up to 24 hours. Some have oven doors while others remain open. Many are adorned with colorful tile, mosaic artwork, or even glass beads. To bake food, just build a fire and allow your wood to smolder. Place your food inside—say, a fresh backyard pizza or even a whole chicken—and you’re good to go (the upcoming classes will reveal more in the realm of nuance and technique). Collinsworth said she was inspired by a trip to Peru, where every village used this method to create insanely delicious pizzas. Creating an “outdoor kitchen” environment with seating and countertop space can spark inspiration in the garden, too. Collinsworth hopes that more people will become inclined to grow edible plants with a helpful nudge in the right direction. BACKYARD BAKE-OFF: Create your own earthen oven (and learn what to cook with it) Saturdays and Sundays, March 7 to 8, 14 to 15, and 21 to 22 at the SLO Botanical Garden Children’s Garden. Cost is $30 per day, $50 per weekend, and $130 for the entire workshop. 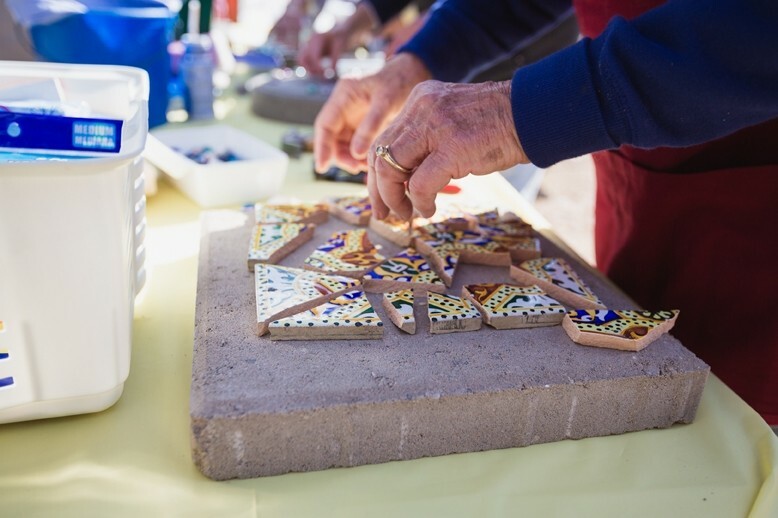 Activities include creating sand forms, incorporating recycled materials, insulation layers, sculpting, finishing plaster, baking doors, firing, cooking, and more. Sign up online at slobg.org/earthoven or call 541-1400, Ext. 304. How many of us have said to ourselves, “This year, I’m going to spend more time outside?” I, for one, am intoxicated by the idea of pairing the feel-good vibe of home cooking with the calming backdrop of a backyard sunset. If you’re like me, and you only have a few herbs and an odd strawberry plant going at the moment, don’t be discouraged. According to Collinsworth, it only takes a tiny seed to grow a new cooking consciousness.